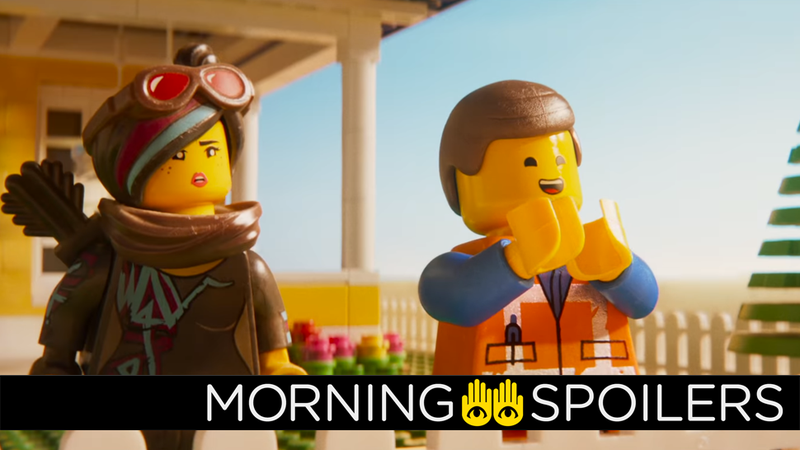 Emmet will have a very intriguing, vest-clad foil in The Lego Movie 2. Spoiler TV has images for episode three of season four, “Bro-D Trip.” More at the link. TV Line spoke to the cast of The Good Place about what’s in store for season three. During the interview, creator Michael Schur stated, “it won’t be very long” before Eleanor and Chidi are reunited with Jason and Tahani now that they’re back on Earth. Get a behind-the-scenes tour from Peter Serafinowicz and Griffin Newman in a new featurette from Comic-Con.